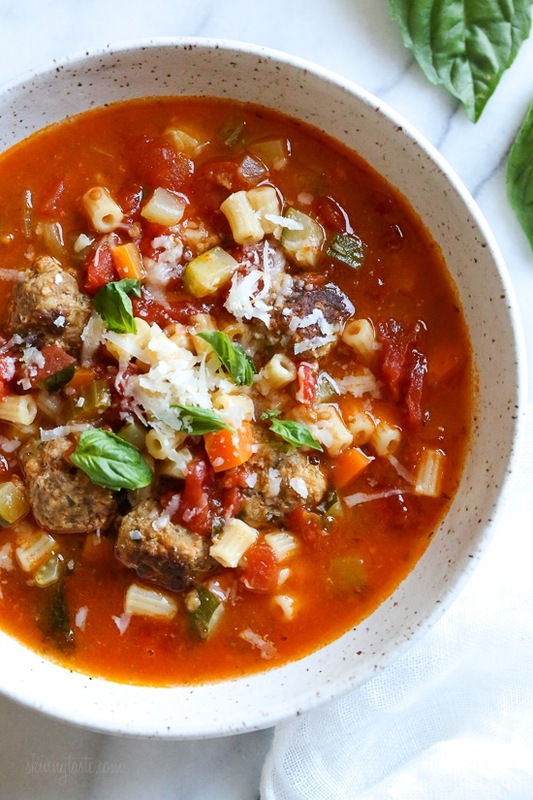 This hearty Italian soup is loaded with mini turkey meatball, zucchini, vegetables and ditalini pasta. 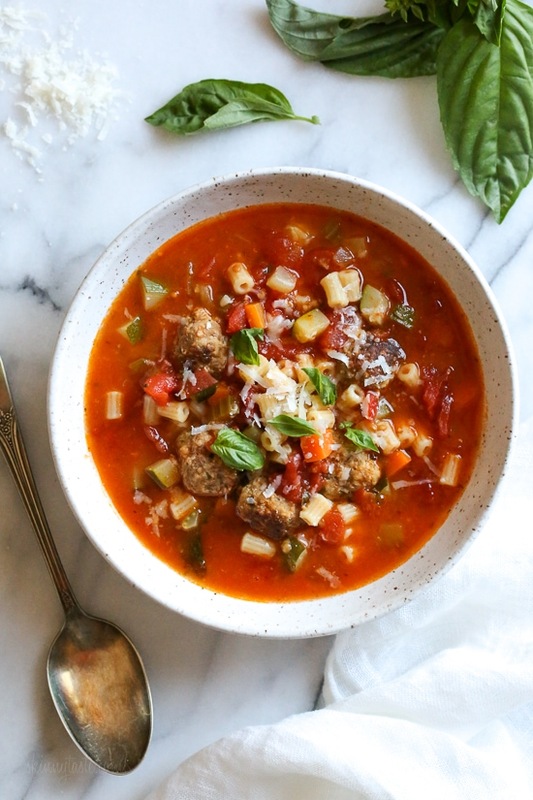 I love to add a Parmesan cheese rind to my soup, my secret for extra flavor but it’s totally optional! 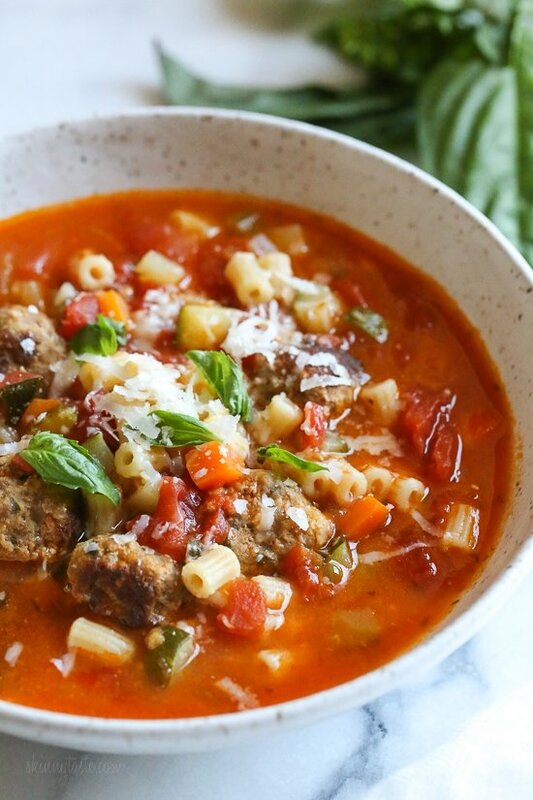 My kids love Italian meatball and pasta soup, especially my oldest Karina who was home when I was making this, and loved it so much she packed up the rest to take with her. It’s a meal in one, perfect served with grated cheese on top. 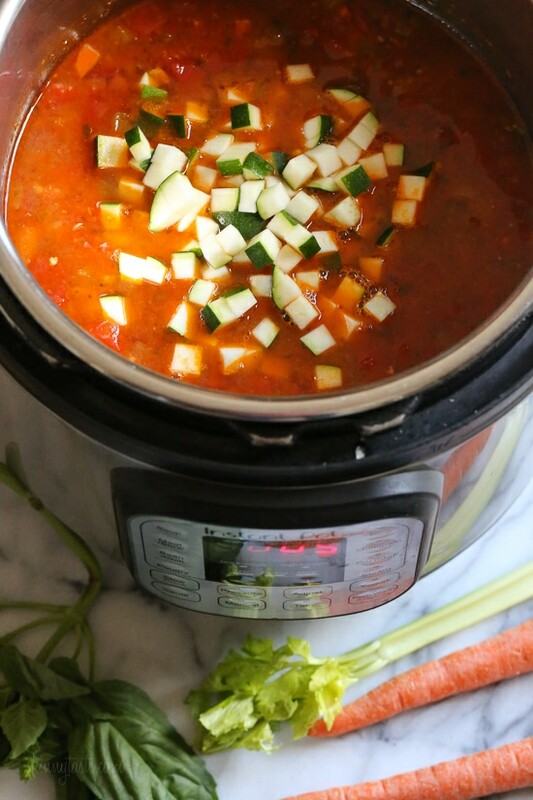 It’s also great for batch cooking, whether your making it ahead for the week or saving the leftovers for lunch the next day. 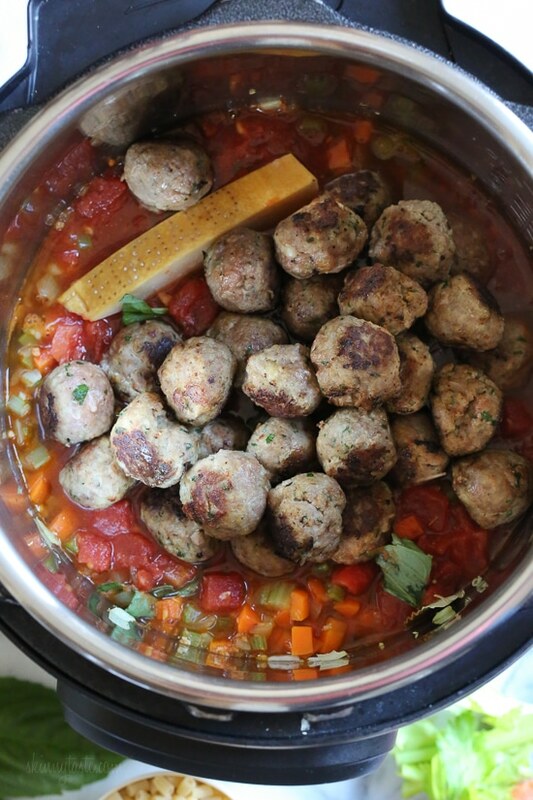 To make the meatballs without breaking them, cook in a few batches and don’t turn them until they no longer stick. You can skip the browning if you wish and plop them directly into the liquid. Refrigerate for up to 5 days, or freeze for up to 3 months. To reheat, defrost overnight in the refrigerator, then heat on the stove. 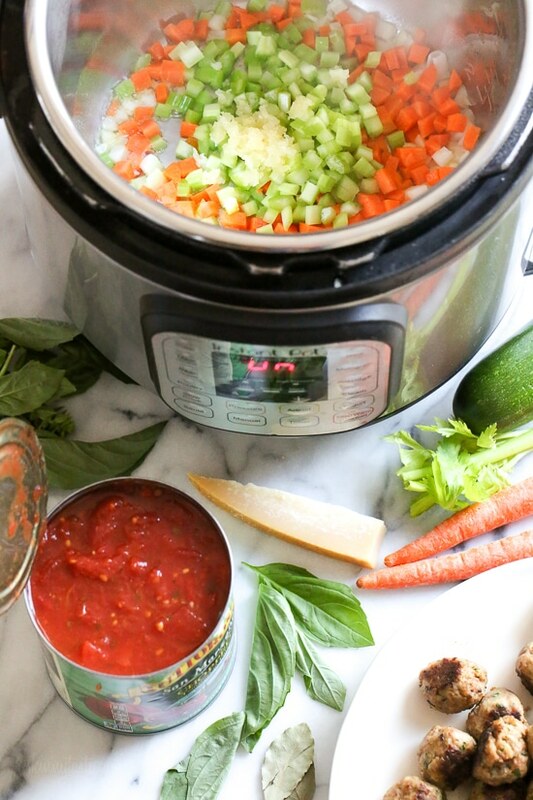 You can swap the pasta for a 15 ounce can of white beans. 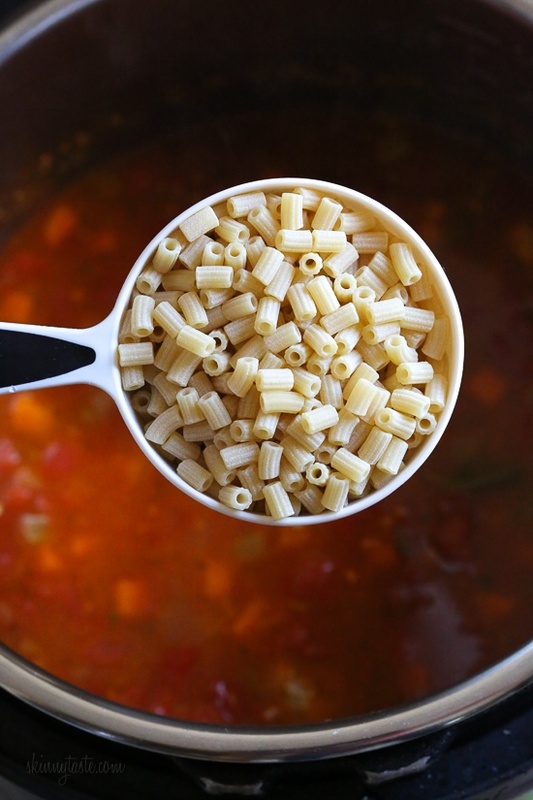 The pasta will continue to expand in the soup, so if you have leftovers you can add more broth or water. If you plan on making this ahead for the week, I suggest under-cooking the pasta a few minutes. You can also cook the pasta separate, then add it to the soup when serving if you like your pasta al dente. Make this in a large pot, brown the meatballs in batches as directed and simmer the rest with exception of the pasta and zucchini covered on low heat 30 minutes. Add the pasta and zucchini, then cook according to package directions. 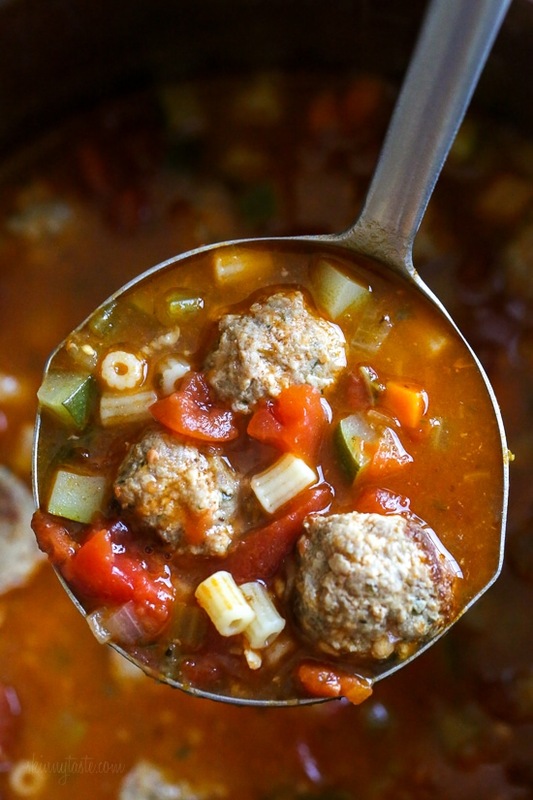 This hearty soup is loaded with mini turkey meatball, zucchini, vegetables and ditalini pasta. 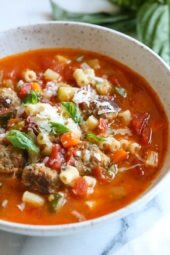 I love to add a Parmesan cheese rind to my soup, my secret for extra flavor but it’s totally optional! In a medium bowl combine turkey, breadcrumbs, pecorino, egg, garlic, parsley and salt and gently mix to combine. Form into 30 meatballs, about 1 heaping tablespoon each. 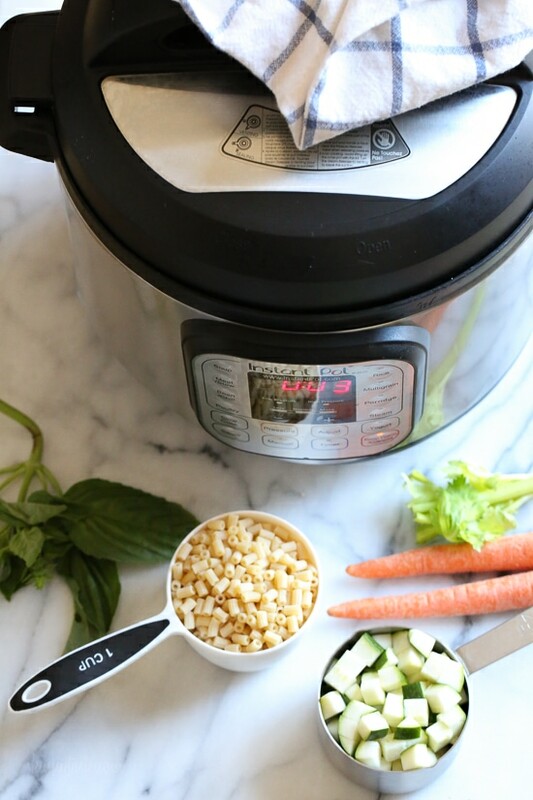 Press saute in the Instant Pot and spray with oil. Brown the meatballs in 2 to 3 batches, spraying each time. Set aside on a dish and clean the pot. Heat the oil and add the onion, celery, carrots and garlic, cook until soft, about 4 minutes. 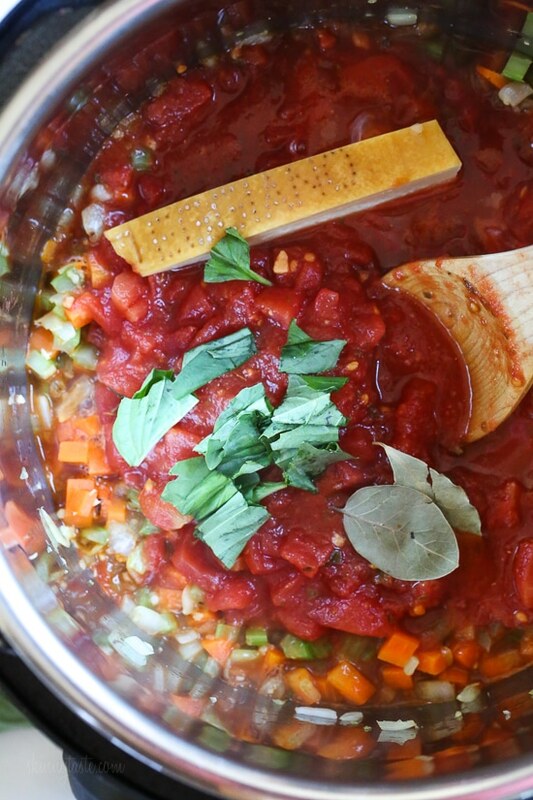 Add the tomatoes, Parmesan rind, basil, bay leaves and stir, return the meatballs to the pot. Add the chicken broth, cover and cook high pressure 15 minutes. Quick release and open the lid, add the pasta and zucchini and cook 4 minute more, quick release so the pasta doesn’t overcook. Serve with grated cheese if desired and basil.